The odor absorber sponge is a technological breakthrough in the science of odor elimination and air quality improvement. It is a solid paste gel made of polyethers, emulsifiers, activated charcoal, and hygroscopic and detoxifying agents that come together to clear the air in any enclosed space. 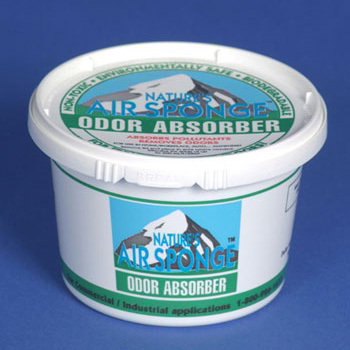 The Odor Absorber Sponge actually absorbs offensive odors and microscopic pollutants, working continuously to create higher quality air.